Making the decision to move a loved one into a nursing home or other care setting is rarely easy. It can be an emotional time, with many questions to ask: What kind of care does my loved one need? How will we pay for it? What if my loved one is unhappy in a nursing home? There may be a sense of urgency to get your loved one into a new home quickly. Some family members also experience feelings of guilt, or question if moving their loved one is the right thing to do. Once you’ve decided the move is necessary and the right thing to do, there’s the task of choosing a nursing home. With so many stories in the news lately about nursing home quality, it can be easy to feel like finding a quality home will be difficult. Many clear-cut factors need to be considered, such as location, price and whether the home offers the services your loved one needs. You can even dig deeper by looking at inspection records and quality ratings. The national Nursing Home Compare website offers a star-based quality rating system, and Ohio’s Long-Term Care Consumer Guide offers inspection reports, consumer satisfaction data and more. But there are also many other factors that will help determine how happy your loved one will be, which may not be reflected in quality ratings or inspection reports. How “home-like” is the nursing home? Do they offer choices in care and living options? Do staff respect residents and each other? The best way to find these answers is to visit the facility. Visit at least twice, at different times of the day. 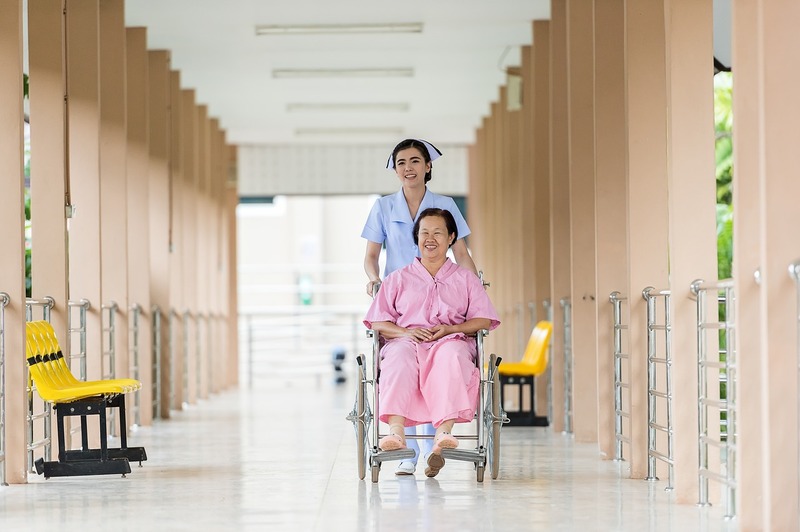 Consider what services and activities are most important to your loved one and look closely at how a nursing home handles those things such as meals, laundry and social opportunities. Talk to staff about their ratings and citations, and ask them to explain what they are doing or have done to improve. Mealtime can tell you a lot about a nursing home. Is there conversation over the meal? Are people interested in the food? Does it look like people are offered choices? Watch how staff interact with residents. Are they pleasant and natural, or just going about tasks? Are they professional and respectful to each other, with a sense of pride about quality? Observe whether residents are engaged in meaningful ways. Can they interact with others, go outside and do the things they enjoyed at home? Are there places for residents to meet and socialize? Naturally, no matter how carefully you choose a nursing home, problems can still arise. The Office of the State Long-Term Care Ombudsman advocates for excellence in long-term services and supports wherever consumers live. Part of our mission is to provide consumers with information about quality and help them use that information to get the best care. Call the State Ombudsman’s office at 1-800-282-1206 for help selecting a nursing home and getting good care there. Choosing a nursing home can be difficult, but with a little work and asking the right questions, you can ensure the highest quality of care and quality of life for your loved one. Beverley Laubert is the state long-term care ombudsman with the Ohio Department of Aging. Next articleCan you hazard a guess on this antique tool?